Cardiff Devils have signed former NHL defenceman Tyson Strachan. The 32-year-old Canadian has played for clubs including St Louis Blues, Florida Panthers, Washington Capitals, Buffalo Sabres and Minnesota Wild. Strachan will go straight into the squad for this weekend's Elite League games at Sheffield Steelers and home to Nottingham Panthers. "We have hit some injury trouble, so this signing comes at a crucial time for us," player-coach Andrew Lord said. "We have a massive weekend coming up with games against Sheffield and Nottingham. We expect to have Tyson in the line-up for both games this weekend." 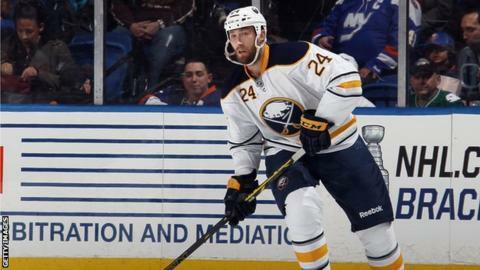 Strachan joins the Devils after spending last season with the Rochester Americans of the AHL, the top affiliate of the NHL's Buffalo Sabres. "We are really pleased to get Tyson at this stage of the season," said Lord. "He is a solid defenceman who has played at the top level in the world and I believe he will be a huge boost for us back on the blueline. "Fans can expect a rock solid D-man in Tyson. His team-mates can expect a total pro, a great guy in the locker room and a leader out on the ice."